After a successful equity round with strategic partners in 2018 (Persistent and the Portuguese energy utility company EDP) and a debt funding round earlier this year (SunFunder), SolarWorks! and ElectriFI have joined forces as well, preparing SolarWorks! for even faster expansion. 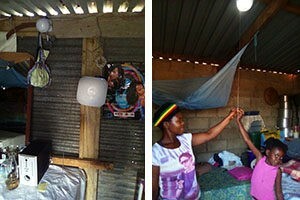 ElectriFI, the Electrification Financing Initiative, is an impact investment facility with a mandate to invest in on- and off-grid early stage private companies and projects focusing on new/improved connections as well as on generation capacity from renewable energy sources in emerging markets. Typical business models include solar home systems, mini-grids, IPPs and captive power production. Core investors are the European Commission, Power Africa and the Government of Sweden. SolarWorks! is a Dutch company that has been active in Southern Africa for ten years, offering a range of quality solar products. Its key product line relates to Solar Home Systems (SHS) which give people access to energy for the first time in their lives and covers needs like lighting and charging mobile phones, while larger systems can offer television and refrigeration. SolarWorks! aims to be the dominant off grid services provider in Southern Africa.